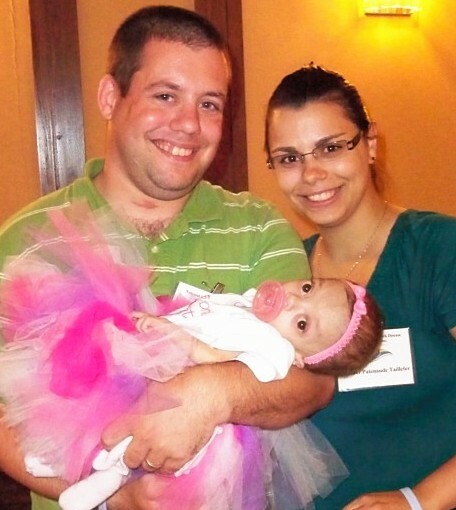 Home » Foundation NewsLine » Princess Monica Celebrates First Birthday! Princess Monica Celebrates First Birthday! The 18th Annual National Niemann-Pick Disease Family Support and Medical Conference was held August 5th through 8th, in Toronto, Canada. One of many highlights of the conference was the “Princess Party” held in honor of the first birthday of Monica Taillefer, daughter of Heather Patenaude-Taillefer and Simon Taillefer of Quebec. The party was complete with a tiara for Princess Monica, crowns for all the kids, cake, of course, and special appearances by Cinderella and Snow White. For more conference details and a link to see dozens of great photos from the event, visit the NNPDF NewsLine page.